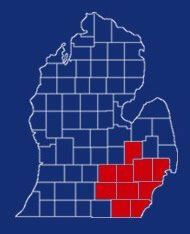 Clog-Busters is an established, reputable sewer and drain company that has been serving the counties of Genesee, Ingham, Jackson, Lenawee, Livingston, Macomb, Monroe, Oakland, Washtenaw and Wayne for over 20 years. Clog-Busters is a family owned business that attributes its success to putting the customer at the center of everything we do. We go the extra mile to make sure the customer is confident and comfortable with the services we provide. Our reputation has provided us enormous repeat business over the years. We build trust with you by unclogging drains that other companies have failed to unclog or have called broken. Our experienced technicians use only the best machines on the market to clean your drains and sewer line the correct way. We focus on solving the problem by cleaning the drain completely, as opposed to a temporary fix that could result in more headaches and cost. Clog-Busters services residential and commercial sanitary and storm main lines, along with kitchen, lavatory, floor and any secondary lines. If it is possible to unclog the drain, we have the correct equipment and expertise to unclog it. 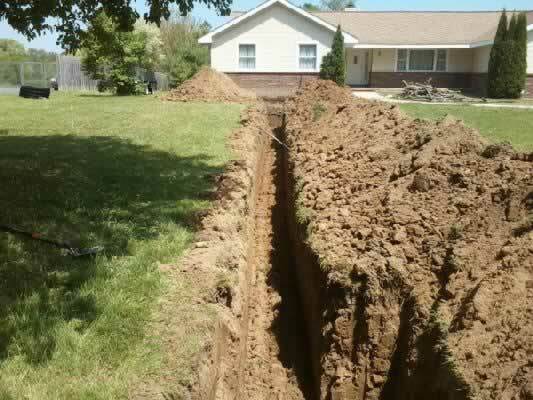 We offer a variety of solutions for customers in need of a sewer line or a tap replacement. Clog-Busters has been replacing sewer lines for over 20 years and will clearly explain all of your options so you can make an informed and cost-efficient decision. Replacing a sewer line is a costly expense for a homeowner, and choosing a professional will make the decision much less stressful. When choosing a contractor to replace your sewer line, you want to make sure this contractor has a proven track record of quality and safety. We take safety seriously, that's why we always use trench shields when replacing sewer lines & when a tap needs to be replaced. Clog-Busters has thousands of satisfied customers across southeastern Michigan. In addition to being fully licensed and insured, we make sure every job has the proper permits and our jobsites follow OSHA standards. We have high-definition cameras that provide you with an understanding of what your sewer or drain looks like. This is fed directly to our monitor so that we can explain to you what we are seeing as you are watching it with us. After using our in-line camera, it's much easier to diagnose the problem you're having and make a specific recommendation on what is needed to fix the issue at hand. We have the tools necessary to locate your sewer line in case you're planning a home renovation or you simply need to know its location. In situations where it is impossible, impractical, or illegal to do a standard sewer line replacement, we offer a solution that will fit your needs. Each of these solutions offers unique benefits, and we would be more than happy to explain each process to you so that you can understand your options and make an informed decision. Most of the time pipe lining requires no trench, while pipe bursting still requires us to dig a trench in order to install your new sewer line.